We're lucky to live in a smartphone age. No more waiting for a TV newsflash during a weather scare or worrying that a power outage might cut you off from the news. In case of a hurricane, flood, or whatever may come, the help and resources you need are always at your fingertips. Government services and relief agencies now provide mobile apps, newsfeeds, and websites for disaster alerts, real-time updates, and first aid how-to guides. If a natural disaster should strike, you can prepare your smartphone for emergency help. We've rounded up 10 essential sources to download or bookmark on your phone, so you'll always have everything you need in the palm of your hand, home, or away. 1. American Red Cross Disaster Online Newsroom: This blog-style site is updated frequently with regional disaster alerts and responses from on-site resources. It also provides links to help you locate the closest Red Cross shelter in your area if needed. 3. National Hurricane Center Twitter Feed: If you live near the Atlantic coast, follow the National Hurricane Center on Twitter for analyses, forecasts, and warnings of hazardous tropical weather. 4. Earthquake Notification Service: Sign up for the free Earthquake Notification Service (ENS), which automatically sends an email or text message to let you know when earthquakes happen in your area. You can tailor ENS to suit your needs: delivering messages for certain magnitudes, areas, at specified times, and to multiple addresses. 5. FEMA App: Receive weather alerts, get safety reminders and tips for surviving natural disasters, locate shelters, and upload disaster photos to help first responders. 6. FEMA Twitter Channel: The United States Federal Emergency Management Agency (FEMA) now uses Twitter as part of its nationwide emergency alert system. It also provides safety tips and initiatives. 9. ICE Standard App: ICE—short for "In Case of Emergency"—is a code recognized by first responders and medical personnel. 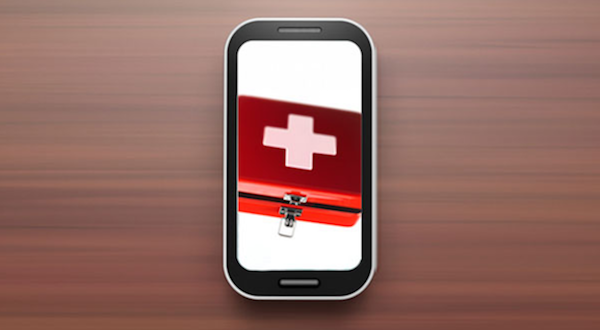 The app works by showing your emergency contacts and health information on the lock screen of your phone in case you're unconscious or can't communicate verbally with emergency responders. 10. GEICO Mobile App: Download the GEICO App so no matter what happens, all your important insurance information is on hand. Access your policy, digital ID cards, roadside help, and an Accident Guide whenever or wherever you need them.